Thanks for Elder Scrolls Wikia for releasing several alchemy effects of Skyrim, I can now attach it to my Guide to make it more comprehensive. Also this list might not be final, so if I discover anything missing, I will add them to the list for I don't know if the list below has every possible ingredients. 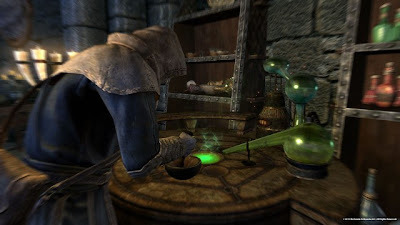 Potions in Skyrim are crafted of several ingredients which can be gathered throughout the world of Skyrim. You don't need to have any empty bottles or anything, just the ingredients and an alchemy lab next to you to craft potions.